Social network Facebook today officially unveiled a brand new draft of its Data Policy that is designed to be simpler, shorter and easier to understand. The new version contains just 2,700 words, down from the over 9,000 in the previous version. Major subject areas of the newly proposed Data Policy are marked and color-coded, making it easier for you to pull useful information out of it about how the site handles your information. 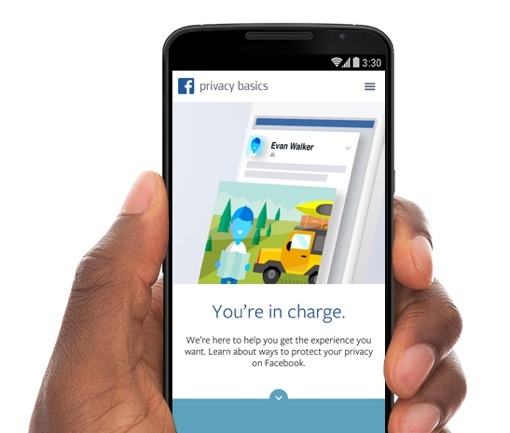 In addition to the simplified Data Policy, Facebook is also introducing a new Privacy Basics interactive tutorial. It offers answers to the most common privacy-related questions (like how to untag and block) in 36 different languages. The new tutorials are in addition to the regular Privacy Checkup reminders the site began offering users earlier this year. But while Facebook’s Data Policy may be getting easier to comprehend, it still keeps much of the power over your own personal data in Facebook’s hands and out of yours. It may be easy to limit the audience of a post, but it’s near impossible to keep that post from being analyzed for advertising purposes. And even if you’re not actively posting, it’s likely that Facebook is still collecting information on your current location using your phone or computer’s GPS and Wi-Fi. Per standard Facebook operating procedure, the new Data Policy has yet to take effect. It is now open for public comment for a week. After that period expires, Facebook will review the comments and write a final version that will go into effect 30 days later. For more on viewing and changing your own account’s settings, check out Techlicious’s comprehensive guide to Facebook privacy. You can view Facebook's own Privacy Basics tutorial by visiting Facebook.com/about/basics.